Cross Docking is a logistics procedure where products from a seller are distributed directly to their customer with no handling or storage costs. It means that the seller can consolidate all the orders from a determined country in one parcel and send it to a cross docking center located in this country. When the shipment arrives, the orders will be distributed to the respective customers immediately, and the seller hasn’t storage or handling costs and a significant reduction in delivery time. Price: The seller saves money, because international postal services are more expensive than domestic postal services. If the seller sends a lot of orders per month, the saving is considerable. Quality of the shipments: If the seller send orders by international postal service, the parcel could be lost or not be delivered on time. This problem is easily solvable by using the Cross Docking method. By integration with the Courier/Post: Seller using a EDI (Electronic data interchange) may upload CSV files with the orders and download a CSV file with tracking numbers and PDF files with the labels. Seller also can download the tracking information. There are two types of Courier applications: Correos Express have a program that runs in Windows only. ASM and Seur have a application on the cloud. Load his orders and print his shipping labels by Web Service. As for shipping, the seller may choose between two methods: Postal service or Courier Service, each one with its own advantages and disadvantages. Postal Service is cheaper and slower than Courier Service. Tracking number will not be provided and the probability that your shipment might get lost is higher than sending the order via Courier Service. This option is recomended when the order has a low value and doesn’t matter if the transit time is a bit long. The transit time is between 3 to 5 working days. The percentage of delivery on time is 96,6%. Courier Service is more expensive and faster than Postal Service. You can track your shipment and probability of loosing the parcel is minimum. This option is recommended when the order has a high value and/or a lower transit time is important. In Spain, we work with Correos Express, SEUR and ASM, with a percentage of delivery on time of 99%. The delivery time usually is 24-48 hours (working days). Why not send the orders by Cross Border Shipping from my country? 1. Cross Border prices are higher: Look at this comparison between prices of domestic postal service and intra-EU postal service (data from 2013). If you send a lot of orders per months, you would lose a lot of money. Column 1. Domestic Postal Service ( Per Unit) (EUR) <20 gr: Postal Service price for each country (Domestic). Column 2. Intra-EU Postal Service (Per Unit) (EUR) <20 gr: Postal Service price for each country (Intra-EU). Column 3. Increase %: Increase in the price if you use Domestic Postal Service or Intra-EU Postal Service. Column 4. Shipping Cost to Spain by GLS (1000 orders, 20 gr/order, 20kg): Price for shipping from the countries listed in the left column to Spain using GLS, 1000 orders, 20 gr per order, 20 kg in total. Column 6. Total Cost (1000 orders Cross Docking + Spanish Domestic Postal Service): Total cost if you send to Spanish Cross Docking Center from your country (left column) and from here, distribute to the customers by Domestic Postal Service. For example, the cost of shipping Belgium-Spain by GLS is 40,52 €. That is, 40,52 € + (1000 orders * 0,37 €) (the cost of Spanish Domestic Postal Service) = 410,52 €. Column 7. Total Cost (1000 orders Cross Docking + Domestic Courier Service): Total cost if you send to Spanish Cross Docking Center from your country (left column) and from here, distribute to the customers by Domestic Courier Service. For example, the cost of shipping Belgium-Spain by GLS is 40,52 €. That is, 40,52 € + (1000 orders * 2,3 €) (the cost of Spanish Domestic Courier Service) = 2340,52 €. Column 8. Unit Cost Cross Docking + Postal Service: Unitary price per order (Using Spanish Domestic Postal Service): Seventh column / 1000 orders. For example, Belgium-Spain is 0,41 €/per order (410,52 € / 1000 orders). Column 9. Unit Cost Cross Docking + Courier Service: Unitary price per order (Using Spanish Domestic Courier Service): Eighth column / 1000 orders. For example, Belgium-Spain is 2,34 €/per order (2340,52 € / 1000 orders). Sellers usually consolidate 2 times per week, 8 times per month. The total cost would be the price in the table multiplied by 8. 2. Slower delivery time for crossborder shipments: If you send your orders only by Postal Service, the transit time is higher than if you send the parcel by Courier to the country where Cross Docking Center is located and from here, you use Domestic Postal Service. 3. The probability of loss increases with international shipping: It is more probable that your order will not arrive to the addresses if you send by Intra-EU Postal Service, because transit time is increased and the packet passes through more places. Apart from what we have mentioned above, Cross Docking used with Courier Services also offers a wide range of advantages for the client. 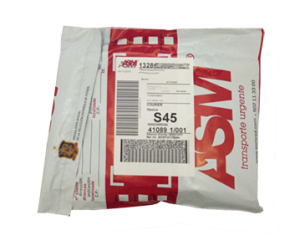 – Delivery time is still smaller than in the case of using Postal Service, because the delivery time is 24-48 hours. 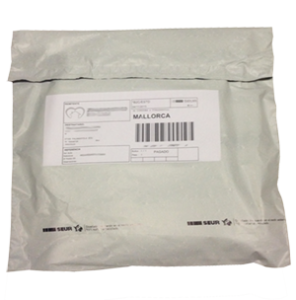 – The probability that a shipment may get lost is lower, as we will have a tracking number. – Depending on the Courier we use, we can have additional advantages. 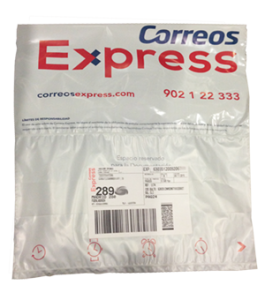 Correos Express and Seur send an email to the client to coordinate delivery of the parcel. In the case of ASM, the Courier has its own app, so customers can track their order. As you can see, the most economical shipping way is through the use of Cross Docking, with the additional advantages of considerably reducing the transit time and also reduce the likelihood of loss. In conclusion, Cross Docking may reduce your shipping cost and increase the satisfaction of your customers. The orders arrive sooner and the probability of loss decreases. In addition, you can choose print your own shipping labels or the Cross Docking Center may do it for you. You can also choose between a more economic option like Postal Service if the delivery time doesn’t matter and the value of the products is low, or you can choose Courier Service, more expensive but faster and safe. Cross Docking is a really good solution for all types of sellers, but in particular for the online sellers, that sell in Ebay, Amazon, Etsy, etc. Do you use Cross Docking or another alternative type of logistics? Tell us your experience! 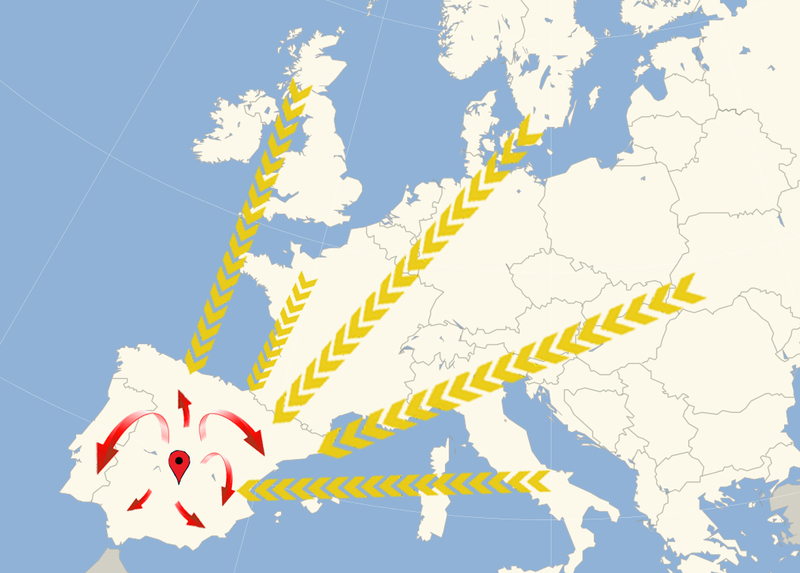 This entry was posted in Export spain, Fulfillment Spain, Internationalization and tagged cross docking, crossdocking. can i buy iphone tax free in spain?